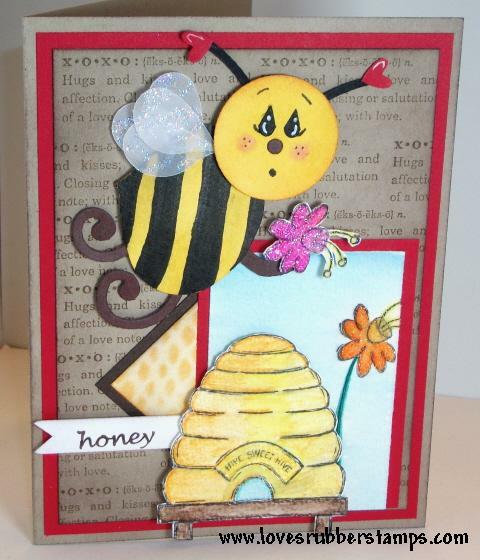 Loves Rubberstamps Blog: Check out my Punch Art HONEY BEE! Check out my Punch Art HONEY BEE! I am SUPER excited to show you my card today! I designed a really cute HONEY BEE using Stampin Up! punches! I think it turned out adorable! Hope you try a bee...they are super cute! If you do be sure and leave a message with your creation I would love to see it! Your bumble bee is adorable. Very creative. Just to adorable. Great job. Not ALL Stampin Up...but HAD to share!